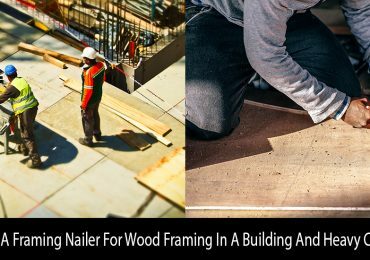 If you are about to frame a structure, you perhaps need a framing nailer. This is the only machine that can handle the task efficiently and penetrate the nails all the way in. But the issue is, choosing this machine isn’t a straightforward task, as there are lots of models with different features. You have to know each detail, especially the degree system, to buy the best one. 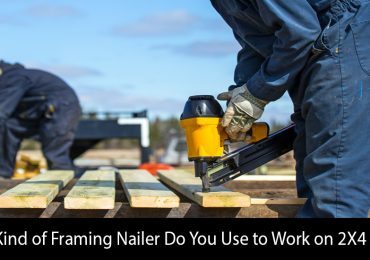 For a beginner, it is tough to decide which framing nailer is the best for his projects and suited for his specific heavy duty tasks. Therefore, today, we are going to shed light on the ‘Degree Systems’ of the framing nailers as they are the most important aspect and they baffle a beginner the most. 2 Do The Degree Differences Matter? Technology keeps on moving forward, as all segments of life as well. 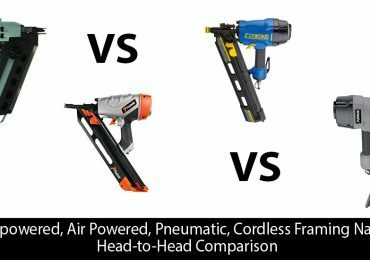 Even in the building industry, we have some exceptional machines like Framing Nailers which are changing the face of woodworking. But understanding their operation isn’t an easy task. Particularly, the degree system in the framing nailers demands utter attention. To grasp their use, you must understand which exact degree system is the best and how it can assist you in the projects. Please, bear in mind, some companies and even the experts call ‘this’ term ‘angle’ as well. You will often find both terms, with similar meanings, on the products pages. 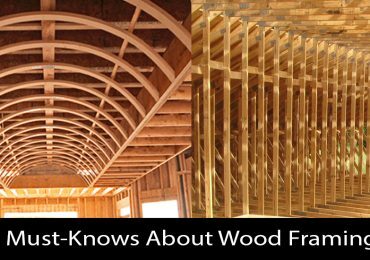 ‘A framing nailer degree defines the angle a framing nailer fires the nail.’ Each degree has its own advantages and disadvantages. Some degrees can hold more nails while other degrees can fire the nails into tight spaces. It is up to you to decides what kind of operation your projects demands and which degree can facilitate you in it. There are four main types of degree. Let’s talk about each of them in a tad more detail and find out their actual purpose. The angle of the 21-degree nailer is in level with the angle of the nail clips. Manufacturers design this degree in such a way that the magazine matches the nail clip angle. This special design accommodates the wider diameter of the head. In other words, in this degree, full-head nails are held in a row. But in this design, the plastic strip is used to hold the nails loosely. It assists in releasing on the nail at a time when you pull the trigger. Famous brands that offer 21-degree framing nailers are Pneu-Tools, DEWALT, and JCH. The best thing about this degree is it fulfills all the recent construction codes. Even if you are planning to opt for it for industrial use, you shouldn’t face any legal problem at all. Before investing in this degree, please remember that the length of nail it can handle is 2 – 3 1/4 inches. These degree framing nailers are known as high performing nailers. It is because they are lightweight, compact, and easy to use. In reality, we will recommend these nailers to beginners. Due to their lightweight and high-performance tag, they can use them with utter comfort. Plus, for small DIY projects, a nailer with this caliber and weight always assists in handling the difficult task. Like the 21-degree nailers, 30-34 degree nailers also use full head nails. The only difference is these nails are held tightly together. Plus, in most guns, the manufacturers use the paper strip instead of plastic strip. That’s why you will see a little change in the design. There will be a slight difference in the length of the magazine. Companies use considerably longer magazines to go with it. Other than that, these nailers also meet the building construction codes. You shouldn’t have any issue using them in the industrial sector. The first thing you will notice in a 28-degree framing nailer is the nails are held together through a wire instead of plastic or paper. However, this also means the nails are farther apart. Because the magazine is also longer in this degree. Its key purpose is to hold two clips. If you want to check how the magazine actually looks in 28-degree, you can assess the 28-degree nailer of Bostitch brand. They are famous for producing 28-degree framing nailers. Now, in case you are thinking about what’s the benefit of this kind of magazine, you can work in tight spaces without any trouble. When it comes to working in tight spaces and corners, 28-degree design beats the other degrees. From small, toy-like structures to complete home, you won’t have any issue at all. Do The Degree Differences Matter? Well, in our opinion, they don’t. Yes, we agree 21-degree and 28-degree are better when it comes to working in the tight corner, but today some modern versions of 30-34 degree nailers also give you that opportunity. You can work with them as well in almost all kind of spaces. We believe the main reason can be a personal choice, brand, and weight. These three things can influence the decision of a buyer. Furthermore, the availability matters too. If you are buying a nailer from a local hardware store, it is highly possible you won’t find the nailer or degree of your choice. Therefore, you have to rely on what’s available. But if you are buying it online, you shouldn’t have any issue at all. 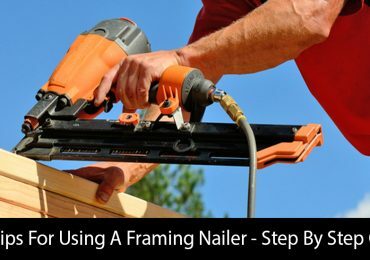 In case you already own a framing nailer but don’t know about its degree, you can find that online or on the package too. Personally, we love 30-34 degree framing nailers because they are lightweight and compact in size. For a small DIY project, they assist on a massive scale. You can use the whole day without tiring your arm. Apart from this, many renowned brands offer a framing nailer with this degree, for that reason, there isn’t any question on the quality and performance. All in all, it all depends on you. 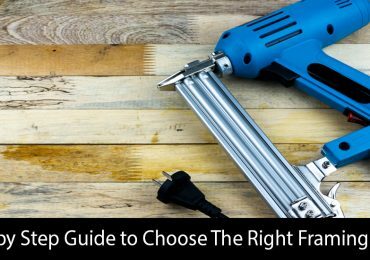 The only thing, we believe, you need to determine is what size or weight of a framing nailer suits you the most. Toolzguide.com is a participant in the Amazon Services LLC Associates Program, an affiliate advertising program designed to provide a means for sites to earn advertising fees by advertising and linking to Amazon.com. Amazon, the Amazon logo, AmazonSupply, and the AmazonSupply logo are trademarks of Amazon.com, Inc. or its affiliates.